A talented young footballer has sadly died after a mystery bug which started off with earache and caused him hallucinations and seizures. 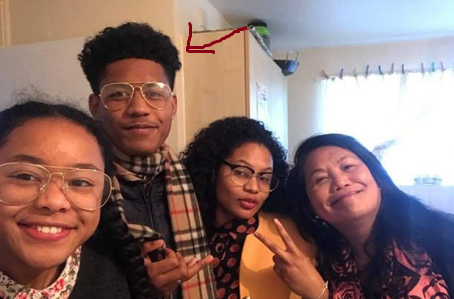 The grieving family of Josh Ayuba, 18, have paid tribute to "an amazing son" who was "intelligent" and "always smiling". Tragically in his final few days he was so ill he couldn't even recognise them. His family are waiting to hear from health experts if tests have revealed what killed their son and brother. Josh, of Portslade, near Brighton, died on Sunday evening, two weeks after complaining about an extremely painful earache which caused him to miss football training. His worried family and his football team manager, Mark Hilfiker, urged him to see his doctor because he was becoming distressed. Josh, a "talented right-midfielder" initially went to his GP where he was given medicine. But after not being able to eat and sleep properly for five days, he returned to the clinic where another doctor immediately sent him to the A and E department at the Royal Sussex County Hospital in Brighton. An unknown bacteria had formed and reached his brain, which started causing him to hallucinate and suffer numerous seizures. Last Tuesday, he was put in the intensive care unit, and from then onwards he could not even recognise his own family, to their despair. 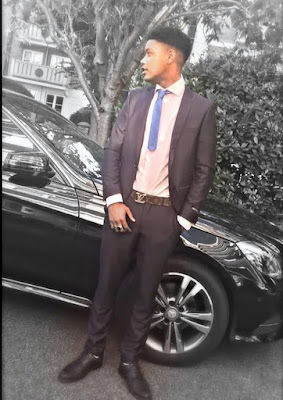 Josh died at around 7pm on Sunday night, and he leaves behind an abundance of people who loved him, especially his two sisters Ruth and Jubilee. Elder sister Ruth, 25, sent a plea to youngsters across the city. "We encourage everyone to make sure they go for vaccination" she urged. "Live life to the fullest and spend time with your family, because it's the hardest thing knowing you won't get that time back." Firm believers in Christianity, the Ayuba family said they are praying for Josh's friends at 'an extremely painful time'. Ruth said: "Josh would want them to have the most fulfilling version of their lives possible. "Thank you for all the weird banter we shared. We would laugh at random stuff and make fun of mum's Filipino accent. "And thank you for giving me another opportunity in life. I won't waste the way I live my life." Younger sister Jubilee, 17, said: "I will always remember randomly laughing at things with him. I miss hearing his laugh." Josh had a Staffordshire bull terrier , Blue, who he loved dearly, and one of the last things he did was take his pet for a walk at Devil's Dyke. Ruth revealed their father, Olu Ayuba, said "I will never forget you Josh. Love you always." And his mum Estrella added: "He was the most amazing son. "There were many times we would be struggling, for example when there wasn't much dinner left. Josh would always say 'mum, you have it' and it would go on and on. He had a very generous heart." A boy of many talents, Josh excelled in all aspects of his life. Estrella, 56, continued: "He was very intelligent. His teachers would always say how clever he is."